I arrived to Kézdivásárhely 11 months ago, in the middle of April and now my EVS going to finish after 5 days. I arrived with motivation and hope for make something good. And now I am going back with amazing feelings. EVS completely changed my mind, my life and my own world. My volunteering life showed me that if you take risks, if you get out of your ‘comfort zone’, it pays back. You only need to open yourself to new people, new experiences and new opportunities. One year ago this day I have started my EVS project, which has changed my life and me totally. It was great year with huge experiences,unforgettable days and sweet memories. This year has really made me mature. I didn't even imagine that EVS could brings me such a experience, it have even bigger meaning. Last Sunday with my friends Enci Sándor and Adrian Mihai we were in one of amazing and unique towns of Romania. We were in Sibiu. Town where the houses have eyes. And they are watching you. We wanted to see and enjoy Sibiu, as much as possible. Sibiu might not be the largest town in Romania, it packs a punch when it comes to sightseeing, charming medieval buildings and history. Most of the main sites are located in the historical center, which includes the Big Square, Huet Square, the Small Square, Liar’s Bridge and Goldsmiths’ Square. We were also in zoo. I really enjoyed my Sunday. And I liked this amazing town so much. Thanks my friends that they discovered for me Sibiu. Before to come here , for me one year seemed too long and when I arrived here I always thought that I still have for all Romania and do a lot of things. But the time didn't want to wait for me. As the New Year marks the beginning of a new year, some people have high hopes and expectations that New Year will be a good start of a new page in their lives. This New Year for me was so amazing, and memorable. This year I celebrated three New Years. That was no joke. 31th of December here was 22:00 pm in Armenia was already New Year. That time I spoke with my mam by phone and far from my home in my mind I celebrated New Year with them. This is first time in my life that I will celebrate Christmas on 25th December. In Armenia we celebrating Christmas on 6th January. And when the Catholics on 25th December celebrating the Christmas, that time in my country we starting decorate the home, streets and prepare for the New Year. For Armenian people New Year is more important then Christmas. Reading is an incredibly inexpensive hobby that provides so many benefits. Reading is my one of favorite hobbies. With my professional books I always reading also some fiction literature. Last week I finished one of the most difficult and disturbing book that I ever read. 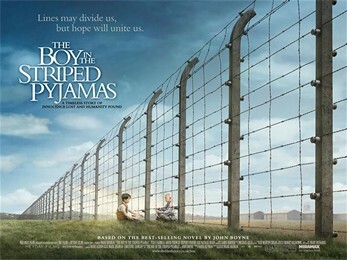 It was Boy in the Striped Pyjamas, written by John Boyne. This book was amazing I think that I would recommend this book to a person who likes to hear people's survival stories. The book was very touching. As people g o through life, there are many things that may have been and gone, such as friends and lovers. However, family always stays constant in their mind. No matter what we will be or how we act, we still love home. As you remember from my previous article I take part in the karate lessons in Shingitai Karate Club. There I wrote that after every karate lesson I am full of emotions and adrenalina. But last Saturday my adrenalina dosage was exceeded its norm. In Shingitai Karate Club some participant gave exam for belt. I am beginner and didn't give the exam. I just took part in the karate training, which was organized before the exam.